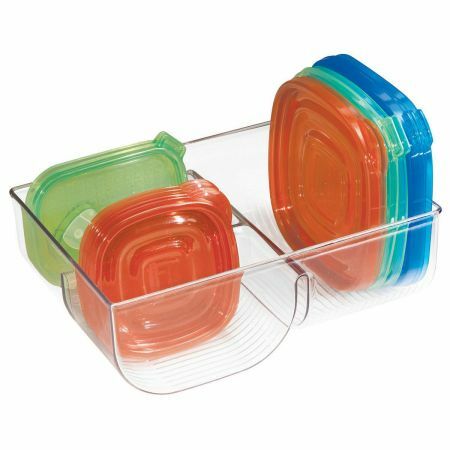 Clear plastic bin organizes up to 38 reusable lids for convenient storage. Plastic lids all stay upright; no shifting around and getting lost. 7 3/4 x 11"; hand wash.